The American Metal Filter RHF1116 Microwave Filter is used in ducted and ductless range hoods, as well as over the counter microwave ovens. The American Metal Filter RHF1138 Grease Filter is used in ducted and non-ducted range hoods, as well as over the counter microwave ovens. 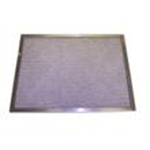 The American Metal Filter RHF1130 Microwave Filter is a grease elimination filter that is designed with an aluminum frame surrounding layers of expanded aluminum and aluminum foil. The American Metal Filter RHF1134 Aluminum Filter, made by American Metal Filter Company is used in ducted and non-ducted range hoods, as well as over the counter microwave ovens. The American Metal RHF1135 Aluminum Air Filter is a standard range hood filter that is designed with an aluminum frame surrounding layers of expanded aluminum and aluminum foil. The American Metal RHF1136 Microwave Air Filter is designed with an aluminum frame that surrounds layers of expanded aluminum and aluminum foil. 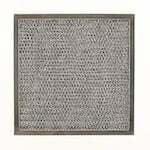 The American Metal Filter RHF1208 Aluminum Air Filter is designed with an aluminum frame, surrounding layers of expanded aluminum and aluminum foil. 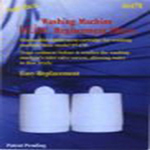 The American Metal Filter RHF1209 Microwave Filter, made by American Metal Filter Company is used in ducted and non-ducted range hoods, as well as over the counter microwave ovens. 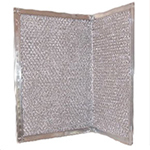 The American Metal Filter RHF1211 Aluminum Filter is constructed with an aluminum frame, surrounding layers of expanded aluminum and aluminum foil. The American Metal Filter RHF1217 Grease Air Filter is used in ducted and ductless range hoods, as well as over the counter microwave ovens.